Keep your employees happy, healthy, and engaged. A happy workforce will increase productivity & revenue for your organization. A corporate health program will improve employee health and decrease absenteeism. Reducing absenteeism and improving productivity will lead to increased revenue. Virtuagym is an intuitive corporate wellness software solution that improves employee happiness and reduces sick leave. Discover how Virtuagym can help you create a healthier and happier world. Research has shown that corporate wellness program can reduce healthcare costs by as much as 16% over 5 years. With the online coaching module and the internal communication tools it becomes easy to coach your employees in order to improve their mental wellbeing. Fitness is more fun with friends. Employees involved in corporate wellness programs are much more likely to join forces when going to the gym, resulting in them being healthier and happier. Why do you need a corporate health software? Corporate health is a vital part of keeping your employees happy and healthy. With your own corporate health system, you can maintain high standards of employee output, whilst looking after the physical and mental wellbeing of your staff. It can add great value to your health plan. What are the things to consider before you buy a corporate health system? Before you buy corporate health software you should think about what your staff need from your business. Do they want an app to track the food that they eat? Or do they want an exercise database so they can workout safely and effectively? What can our corporate health software do for your business? The corporate wellness program can change the way your staff interact with your business. Rather than just an employer you can become much more, and take a leading role in how they view health and fitness. Discover the benefits of good employee health, and incorporate corporate health software into your business practices. Your staff will be eating better, exercising more and working in a way that is good for them and for your company. Can our corporate health software grow your business? Absolutely. Thanks to the powerful digital solution Virtuagym, your business will be able to grow faster and better than ever before. Using a digital platform like Virtuagym for your corporate health software will show staff you’re serious about their health risks. A successful business needs staff that can adapt to any challenge, and encouraging a healthy lifestyle plays a big part of that. Your wellness programs will be a popular part of your business and play a big role in retaining and developing your staff. 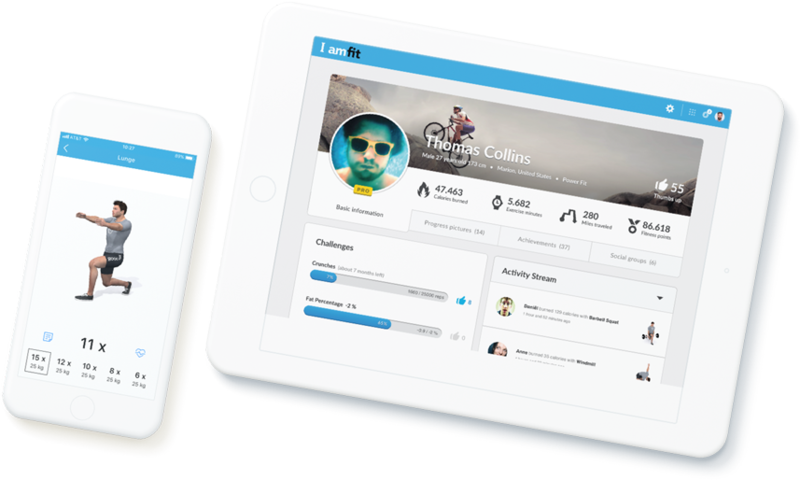 How can a corporate health software help you to build your online community? The community is important to your staff. They want to feel at home working for you. People want to share experiences and happy moments together. With Virtuagym, your corporate health system will create a unique online space for your staff to use to chat and discuss everything to do with fitness. It’s proven that when people feel like they belong, they stick around for long.